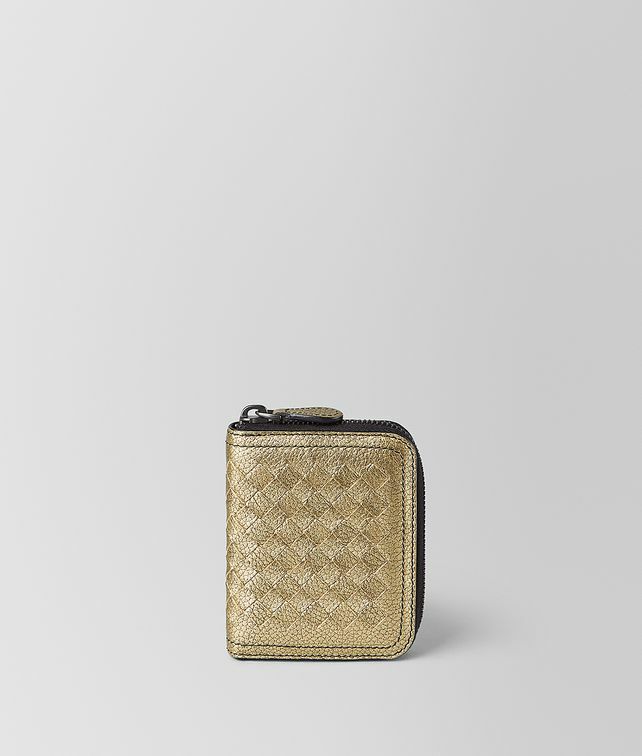 This compact coin purse is new for the season in grainy metallic nappa made with a complex construction that gives the intrecciato a framed effect. The coin purse is outlined by black double seams and finished with an intrecciato engraved zip pull. The nappa interior is fitted with four card slots and one flat pocket for notes and receipts.